Nestled on an eminent corner parcel in prime Tanglewood is a magnificent French Normandy Masterpiece designed by Robert Dame. 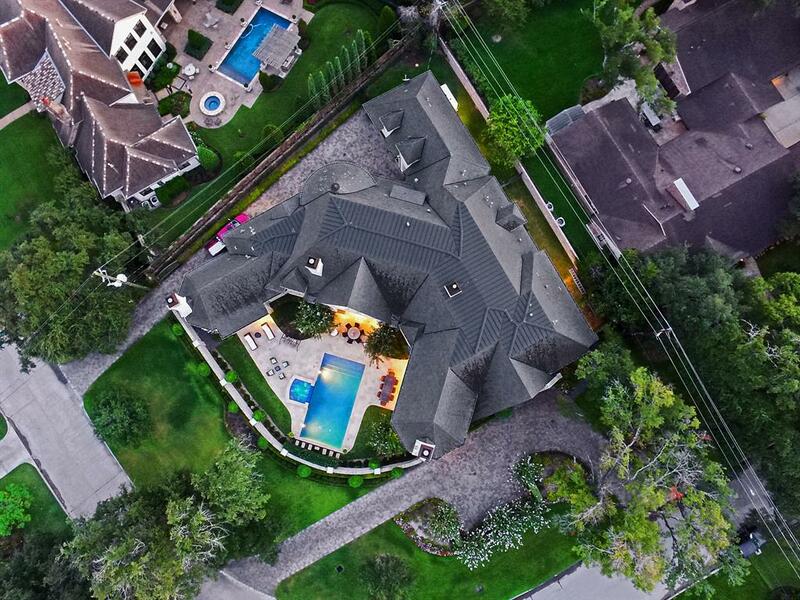 Nearly 10,200 square-feet, this showpiece is set behind walls of natural stone & perfectly manicured grounds that pay homage to the level of quality & attention to detail. Beyond the homes 13’ double door entry, a light filled, open floor-plan is replete with Limestone & French Oak floors, ultra-high ceilings & French doors along the living spaces that blur the line between the indoors & out. Off the soaring Great Room that overlooks the commanding pool & lush grounds, is the exceptional chefs kitchen with marble island, top tier appliances, custom glazed cabinetry & breakfast area. The main level master suite is complete with a Limestone fireplace, plastered walls, dual closets/vanities, rainfall shower & therapy tub. Upstairs, 4 ensuite bedrooms, living area with wet bar & theatre. Home complete with 3rd level, generator & full automation devices installed.